Originally posted on November 30, 2017 by Local Mom Scoop here. Have you ever traveled with your baby and experienced the dreaded diaper blow out? With my first child, I remember being on our first car trip in the North Carolina mountains. From the front seat, I can hear a curdling sound coming from my daughter’s pants. Then the fumes began to take over. Before I knew it, she yells poopy. Not only did she go poop, but it was a full blow out. It shot up her back, out of her pants and all of the car set. When we pulled over, I found my diaper bag to be totally disorganized. The wipes were in one spot, the diaper cream was in another and I totally forgot to pack the changing pad. My husband and I were panicking as you do with your first baby. 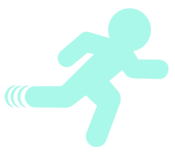 Finally, there are actual Travel products that make those blowouts and other travel situations so much easier for you and your baby. Products On The Go created Little Toes On The Go Diaper Changing Sets. Here are 3 travel products when your child poops! 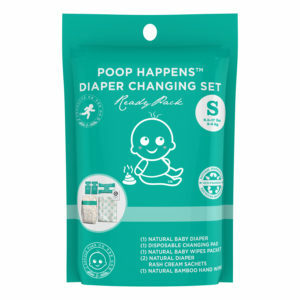 These diaper sets come in either one complete diaper set or 3 Complete Diaper Change Sets. It’s just what you need as an ON THE GO mom or dad. Use the bag to dispose of all the poop. Throw this in your purse, diaper bag or center console of your car. If you’re traveling to a tropical destination like South Florida, this is the perfect diaper set for your bag. Bring it to the resort and keep in the pool cabana. Throw it in the beach bag or leave a spare at grandma’s house. 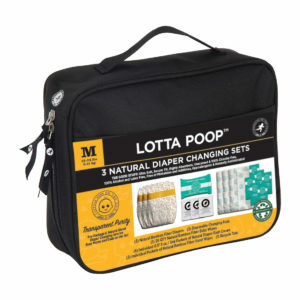 The Lotta Poop fabric case is perfect for traveling on a plane, in a car or even a cruise. Local Mom Scoop was compensated for this post. All opinions are 100% Local Mom Scoop’s. Visit at http://www.localmomscoop.com/.